St Thomas Church in Norwich has fully refurbished the Mitre pub next door to the church premises on Earlham Road and are set to open it next week as a welcoming venue for the community, reports Network Norwich & Norfolk. The Mitre is a well know Norwich landmark on the Earlham Road. 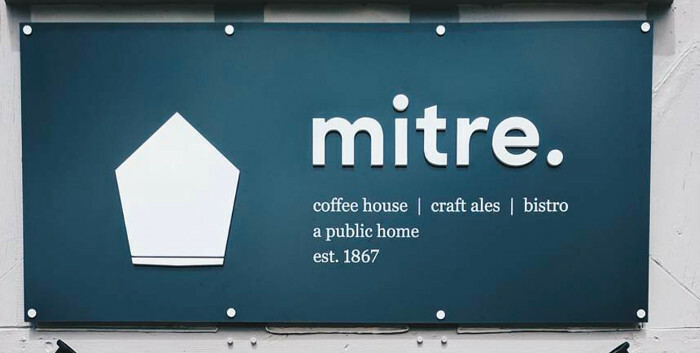 First licensed in 1867, the Mitre has served many generations of the community as a public house before in recent years trading as a restaurant and takeaway. Some 18 months ago it was bought by the adjacent St Thomas Church and has since undergone a thorough refurbishment. It will reopen its doors to the community on Monday August 14, branding itself no longer as a public house but a public home, following a celebration after the 11am service at St Thomas' on Sunday August 13. Initially opening for breakfast and lunches it will soon extend its hours to include evening meals as well. Ian continued, “we are so pleased that through the generosity of many we were able to raise the finance to acquire this building and return it to its original purpose of serving and being an asset to the community. In addition to being a tremendous community facility, all profits from the coffee house, bar and bistro will go towards local, national and international charities who support those enslaved by debt, poverty, crime, trafficking, addiction and loneliness.